Months before the 2014 baseball season starts The Mets, along with their new radio broadcast partners 710 WOR, have already found a way to stir up the fan base. It appears decisions have not yet been made on one of the few things this franchise has going for them, their broadcasting teams. 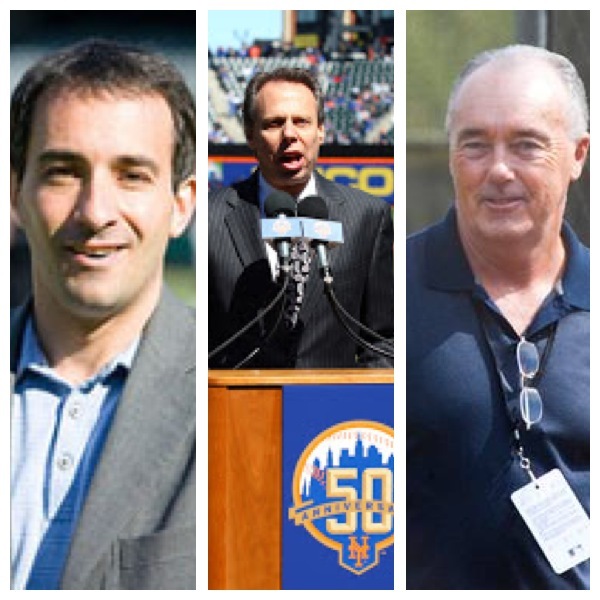 Gary Cohen, Keith Hernandez, Ron Darling and Kevin Burkhardt are arguably the best team in television, but the Radio booth of Howie Rose, Josh Lewin and Ed Coleman is held in the same high regard among the fan base. In a shocking development, there were initial reports stating that WOR may look to replace the entire team and go with a fresh start. That would mean letting go of Howie Rose! Thank god the Mets stepped in on that matter and assured Rose would be part of the radio booth team, though no contract has been finalized yet. I mean could you imagine if HOWIE ROSE was replaced??? A move like that could have quickly turned an entire fan base against the station. Now it appears the question is, who will be joining him? Josh Lewin is the man who has caused the most headlines during this whole ordeal. There has been plenty of speculation that Lewin is the man who could potentially be replaced. Lewin joined Rose in the booth two years ago, when he took over for the all too forgettable Wayne Haggin. I was hesitant to take in Lewin at first, but I quickly grew to love this combination during games. It’s as though you were hearing any two Mets fans having a conversation during a game, making it a very friendly and welcoming broadcast to listen to. Unlike TV, you cannot let the game speak for itself, there is no room for awkward silence. It’s hard to force chemistry between two people, either you have it or you don’t, and Howie and Josh have it. The two of them grew up Mets fans, albeit different generations, but having that connection with listeners of knowing these two have been through the same ups and downs with you for all those years makes you feel a connection. Lewin excels in the play-by-play role, Howie gives us his analysis and historical perspective, simply put, it works. He adds a bit of humor to the booth when it is needed, which is has been in his two years, and he is able to relate with the younger fan base. It would be a shame to see him leave so soon. I understand Coleman’s situation is a little bit different. He is a full-time employee of WFAN and does more than just Mets baseball with the station. It will be hard to initially accept, but it seems all but a foregone conclusion that he will not be making the move with the team over to WOR. Although he won’t be apart of the games broadcast anymore, he will still having a meaningful presence covering this team on the radio. WFAN is the most powerful sports radio station in NY, Coleman will surely stay on as the stations team correspondent and spend much of his time giving us updates as a guest across all of their programs. The easiest comparison to make, for anyone who is an addicted WFAN listener like myself, is that Eddie Coleman will essentially become what Sweeny Murti has been for the last several years. The only thing that will really change with our relation to Coleman will be his absence on the pre and post game show. Truth be told, he is better off staying put. That way he will still be able to host an occasional show and keep his presence on a more meaningful sports station. The two names that have been tossed around most often are former Mets Darryl Hamilton and Cliff Floyd. I have watched both recently in their roles as analysis on TV, granted it’s a small sample size, but they seem pretty good at their jobs. I’m not underestimating their abilities to be great broadcasters, my biggest argument is why fix something that isn’t broken? We have a tremendous team already in place, I can’t think of any reason why they should be split up for someone who is unproven in this type of role. I understand both Rose and Lewin have other obligations besides the Mets. Rose calls Islander games and Lewin does San Diego Chargers games, causing them both to miss a few Mets games throughout the course of the season. Part of the thing that makes this team so great is that when one game is absent, the other takes control of the play-by-play call alongside a fill in, most often that was Ed Coleman. If you are going to bring in one of these guys to do pre/post game show duties, while occasionally filling in the radio booth, that’s great. However, I’m not sure if either of them would leave their TV studio gigs for that sort of opportunity. Whoever it is that possesses the power to make these decisions needs to comes to their senses and lock up both Howie Rose and Josh Lewin. I would love nothing more than to see Ed Coleman make the leap as well, but I’ve come to accept his inevitable departure. Losing one of these guys is enough, don’t make the mistake in losing another. Nicely written. Lewin’s contract is complicated due to his residency and family obligations in TX. What appears to be lack of interest on the Mets part is working in his favor. Timing is everything and if I know him (and I do), he is this opportunity to leverage a vacant spot with the Padres due to the death of Jerry Colman and the renegotiation of his contract with the Mets. My bet is on the Padres/Chargers combination. Although all has been quiet on the Lewin front, he’s a kid in a candy store right now and loving every minute of it. First off, thanks for reading! That’s a great point about the Jerry Coleman opening. That didn’t even cross my mind but that would be a nice fit for him to go along with his Chargers gig. However, I hope something is worked out to keep him here with the Mets. I really enjoy Howie and Josh in the booth together, it would be a shame to see it come to an abrupt ending.